Congratulations on your upcoming wedding! this is such a sweet time for you and your fiance! I got married this past april, so I know all about the excitement, craziness, and joy that comes with this season. Before anything else, I want to hear your love story. I want to know about what you and your sweetie love, how you met, and what your favorite things are. Everything element of your wedding invitations should point back to your story. Once I have a good idea of who you are and what your wedding will be like, we'll start sketching. This step of the process is the most important and the phase where your design really takes shape. You'll have unlimited rounds of revision to your sketch, because in my opinion there is no point to working with a custom stationer if you aren't in love with the result. When we have a sketch that you love (almost) as much as your sweetie, I'll start on your artwork. Each piece element will be hand-painted and the design will be used only once, for your custom invitations. After all your custom artwork is complete, I'll send you a digital layout so you can see how the whole suite works together to tell your love story and welcome your guests to your best day. Once you approve the layout, it's off to the printer! I print the majority of my invitations in-house. You've trusted me to create one of the most special pieces of paper you'll ever touch, I want to make sure that it's perfect that you don't overpay in third-party markups. 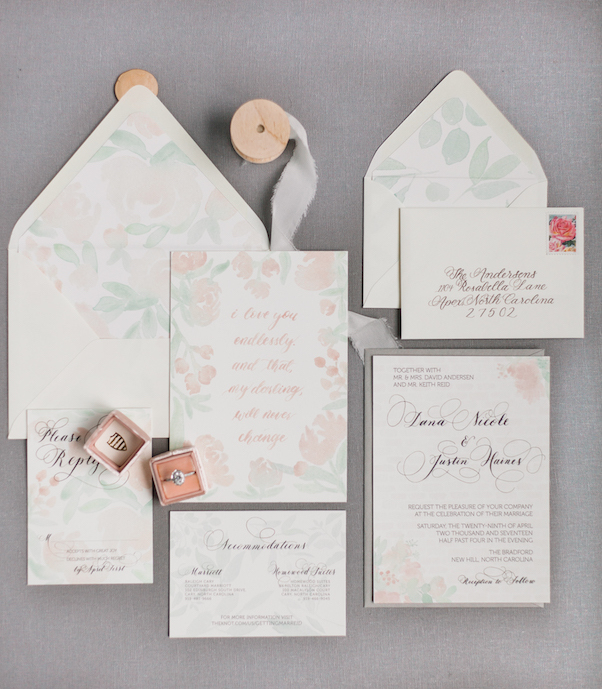 From there I will assemble each suite; calligraph, stuff, seal, and stamp each envelope; and put them in the mail directly to your guests. It's that easy! 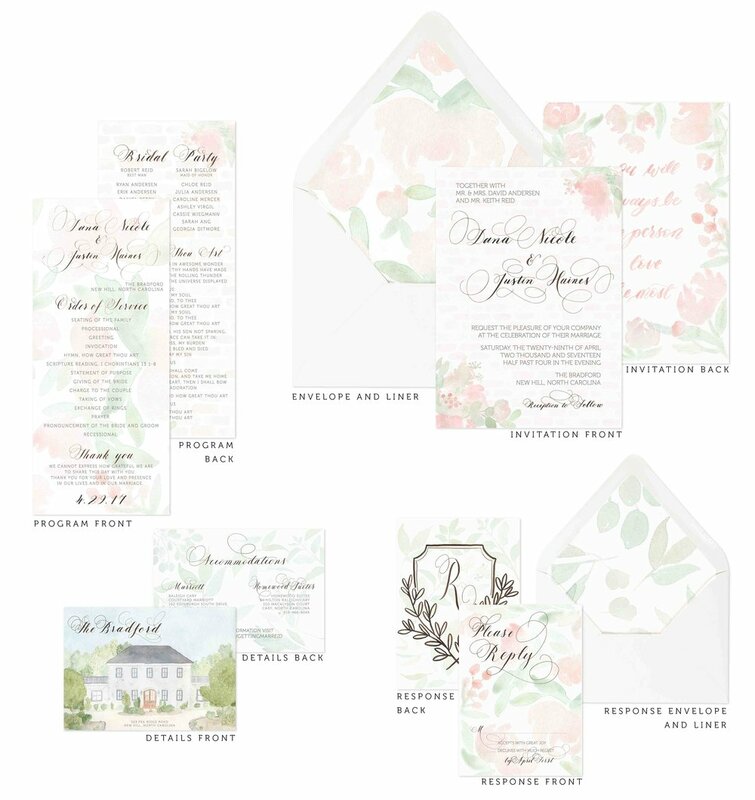 The last step of the process is for you to spend a day or two getting countless texts from your friends saying: "Your invitations are BEAUTIFUL. I've never seen such a creative invitation, even the envelope is on my fridge!"